must not restrict your front or rear vision. If you're riding a motorcycle with a learner licence, your L plate must be displayed on the back of your motorcycle where it is clearly visible to other road users. 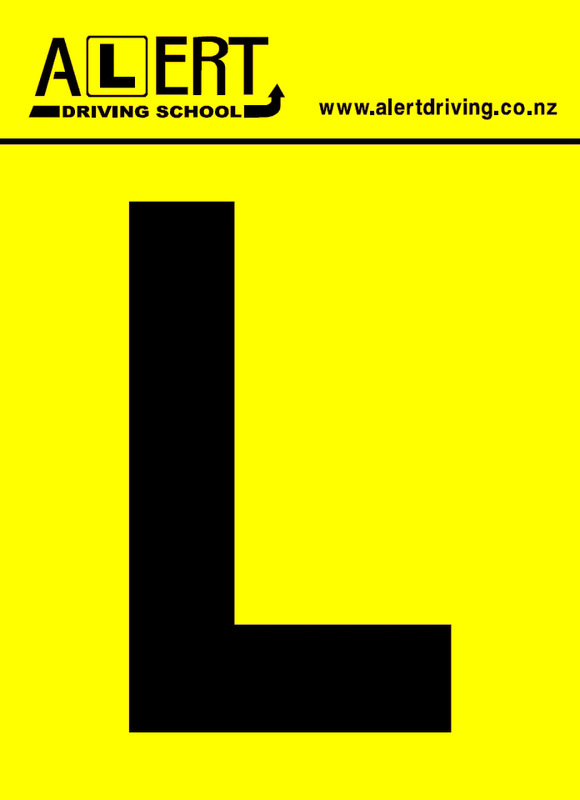 Caution: Approved "L" plates must be clearly displayed at the front and rear of the vehicle for the test to proceed. Handmade "L" plates are acceptable providing they are the correct size (or larger) and the color of the approved "L" plates. L plates show other road users that you are a learner driver, so they will be more considerate of you on the road while you are learning to drive. They also mean that police officers can make sure learner drivers are following the conditions of their licence. The L plate must have a black L on a yellow background and must be at least as large as the measurements shown on the diagram (right).